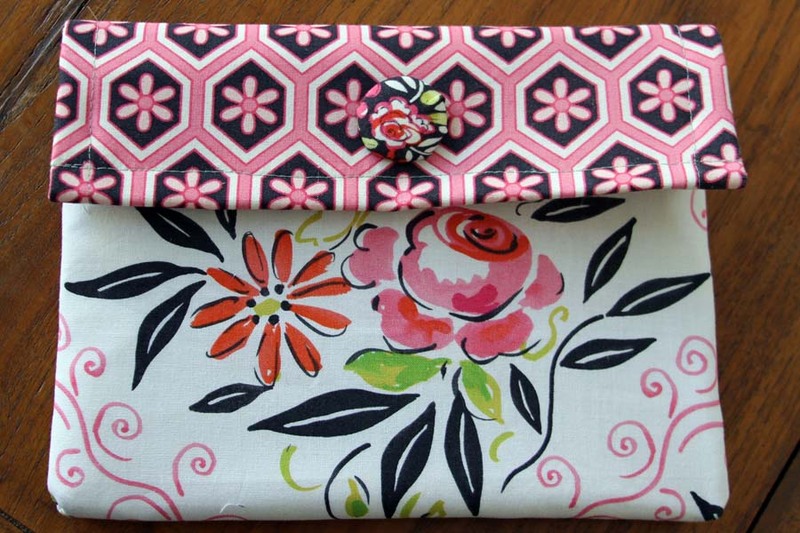 The Fat Quarter Shop is excited to welcome Dena Designs to the Jolly Jabber. 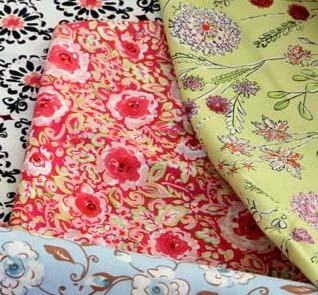 Dena’s latest fabric collection is London from Free Spirit Fabrics. Q: What was the first seed that grew into the London collection? A: Before I started painting, I was inspired by the idea of a chic London apartment (or in their terms, a London flat). I wanted patterns with lots of black, white, and pink. Once the patterns were all painted, I added other colorways so the collection could be more versatile and mix-and-match, which is my favorite way to arrange things. A: Even though the collection was inspired by my idea of London, as well as my stash of vintage fabrics, I think if it had a soundtrack the songs would be French, like Édith Piaf. 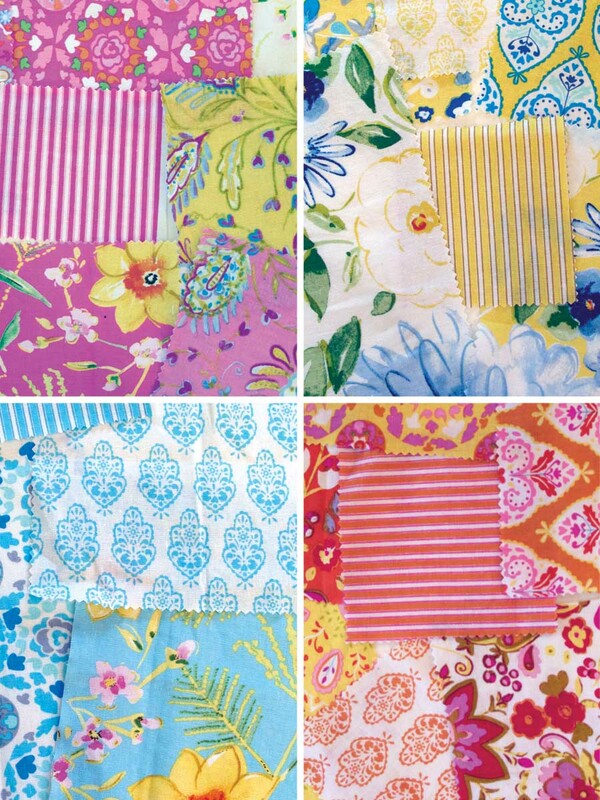 Q: What single print/SKU in the collection is your favorite? 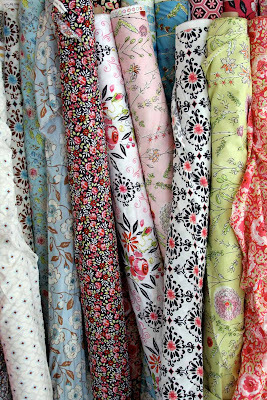 A: Of all the patterns, my favorite print would have to be the pink watercolor roses - Manchester in pink. But that’s because pink watercolor roses are always my favorite. A: I really love this little cosmetic bag that we made using two London prints because of the way it combines the loose floral with the bold geometric. A: Working in the fabric industry is great. My favorite part is getting the first set of samples, just about ½ yard of each print, because we can start making all kinds of fun things. 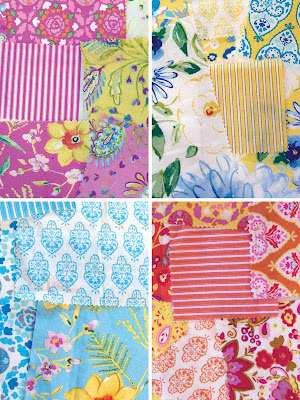 A: My next collection with Free Spirit is called Sunshine, and it will be printed on linen. I don’t have any large samples yet, but I have some small swatches to show. 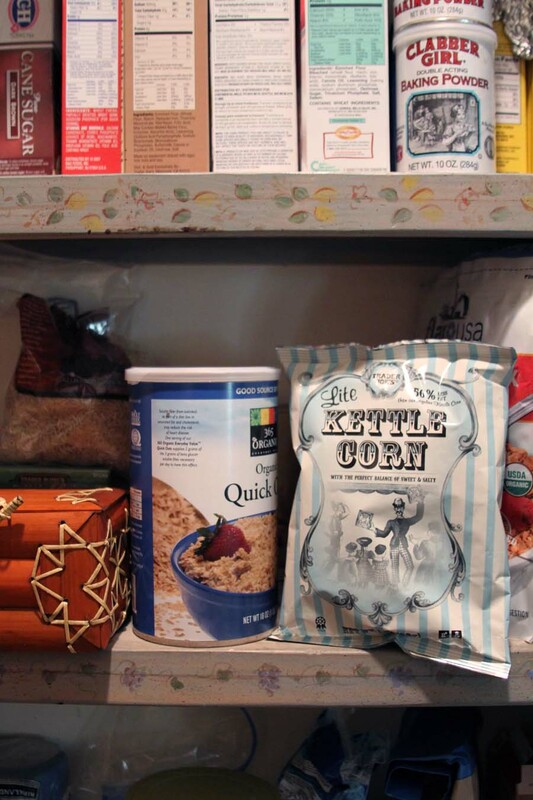 A: When I design collections, I paint patterns that I want in my home. I surround myself with many colors, patterns, and textures. 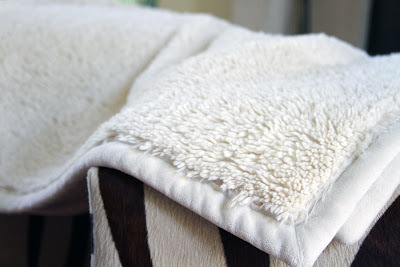 But at the moment, my absolute favorite thing in my house is a plain white blanket from Pottery Barn. It’s so soft! 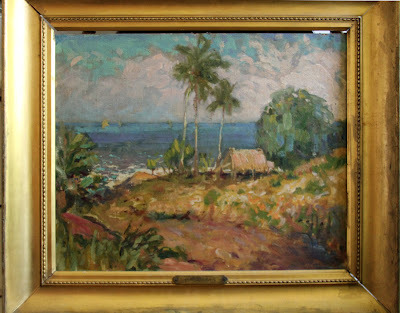 Another favorite item, which was a project just to acquire, is a painting from the Sausalito Flea Market 20 years ago. I had imagined this painting in my dreams for years. Suddenly I saw it in real life at the flea market! It was almost exactly what I had envisioned. When I ran down the aisle to pick it up, another potential buyer got to it before I did. After an agonizing half hour of lurking behind a row of bicycles while this man contemplated buying it, he finally decided not to and put it down. It’s been mine ever since! 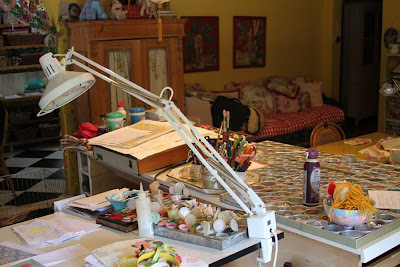 A: I do all of my thinking and planning at my drafting table. A couple of years ago, my husband Danny surprised me for my birthday by reupholstering my work chair in velvet, with an animal print trim. A: At the moment, my favorite snack food is Trader Joe’s Kettle Corn. It’s the perfect thing to much on because it’s sweet and salty at the same time.